9 Most popular dating apps for hooking up in 2017. Dating is also a part of life. But finding a Date is difficult for a person who is passionate about their work. As a techie Guy, Everyone wants a Date without investing a lot of time. So to solve this problem, I have a list of most popular dating apps available on the play store and app store which will help you to find a Good Date. Why choose Date from an App? Most of the people are clear Why they want a list of most popular dating apps to find a date. But many ones don’t know the answer of Why to find a Date on an App. The answer is simple which is “Time”. We don’t have to invest a lot of time to find a date on an app rather than finding a date on Social Media. On Social Media, First, you have to chat with the person with whom you want to go on date then You have to find an answer that Is he/she single or not and then You have to ask him for the date. But On these apps, People’s mindset is clear that they want dates. Now let’s Discuss our topic of Most popular Dating apps. This is the first application of our list of most popular dating apps and best among all the other application available on the market. It has the unique feature of which you can find people by the GPS which are near to you but it sometimes depends on where you live. This application shows you who crosses your path with in real life. And when it happens many times, their profile shows in your timeline and you can connect and chat with that person. It also has a subscription package but it is all up to you that you want to spend money or not. It has a rating of 4.4 on the Google Play Store with 50,000,000 downloads. It is just a basic dating app but you can choose two options while searching for your date and those options are Get Down or Get-Date. This application focus on meeting peoples in real life rather than just simple chatting. You can browse your past “Likes” and undo them for free if you want. This application has 4 million users all around the globe and according to their data, they said over half of all the matches on down meet in real life. All you need to sign up with your Facebook account so that they can verify that you are real but don’t worry they don’t post anything on your Facebook wall. Once both people are ready to date and then you can meet you person and date in real life. It has 4.3 ratings on the Google Play Store and also had some in-app purchases. By this dating application, you can connect only with your friends of friends only with the help of your Facebook Account. It also had some innovative features like “Timed Matches” which is, if you do not start a conversation within a day, the connection will be disconnected. The developers of Hinge application tested this feature and observed that it has amazing results in starting conversations. It also had another interesting feature that users have to exchange their mobile numbers within 14 days when the conversation starts because after 14 days the connection will be lost. This application is available on iOS and Android platform but in some countries, Android version is not available. This application uses your Facebook account details but they don’t post anything on your profile timeline. If two people like each other and they start a conversation but if anyone doesn’t respond within 24 hours the connection will disappear automatically. This app provides only limited profiles per day. This is the another location-based dating application but the user interface is very simple and colorful. It has 2 million downloads and can be used on various platforms. You can meet new peoples from your area but the main issue with this application is fake profiles. But we are hoping that this issue will stop after some time but you can check this out. This application is widely used by 100+ million peoples all around the world. It has 4.2 ratings on the Google Play Store and according to the application, it is the number one social application for meeting new people in the United States. This application is free for use but it has some in-app purchases. This is the another dating application of our list of “Most popular dating apps“. The amazing future of this application is you can join it for free, message new people for free and engage with the application for free which increases the chances of meeting your new date. You can sort the list by last online, new users and much more. You can send and receive unlimited messages for free. POF.com is a part of Match Group which also owns many other dating applications like OKCupid.com, Match.com, Tinder, Twoo, Meetic, and OurTime. It has a rating of 4.2 on the Google Play Store with 50,000,000 downloads. It also had some in-app purchases. It has the rating of 4.0 out of 5 stars on the Google Play Store. This is one of the most popular dating apps available in the market. You can easily create your profile, meet new people and hopefully, all the things go last long. 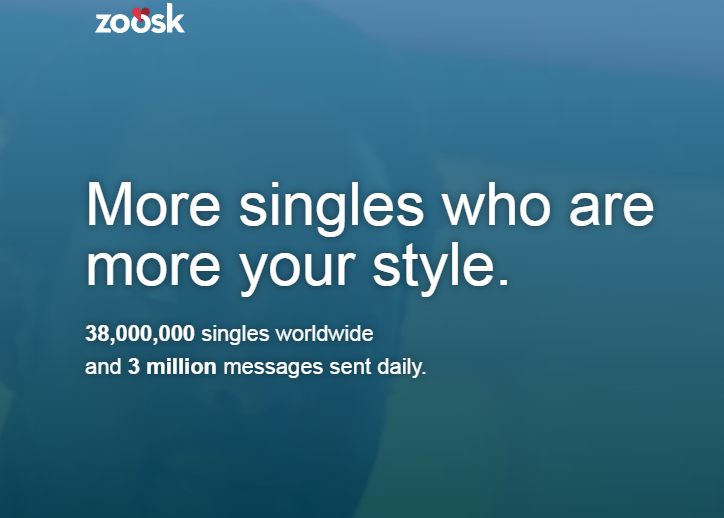 It also has a subscription package but for that, you need to sign up for it from the website of Zoosk. But there is no need to subscribe, you can use it for free. It also supports Android wear. It was named as best dating app of 2016 by Wallethub. It has an Image verification feature to verify members that they are using a real identity you can search with their advanced search option which includes religion, body type, height and much more. You need to verify your account by submitting video selfies to confirm that you are a real person and not a fake profile. It also had a subscription plan by which you can chat with other subscribers and say yes to your SmartPicks and you can see profiles of who’s viewed you. 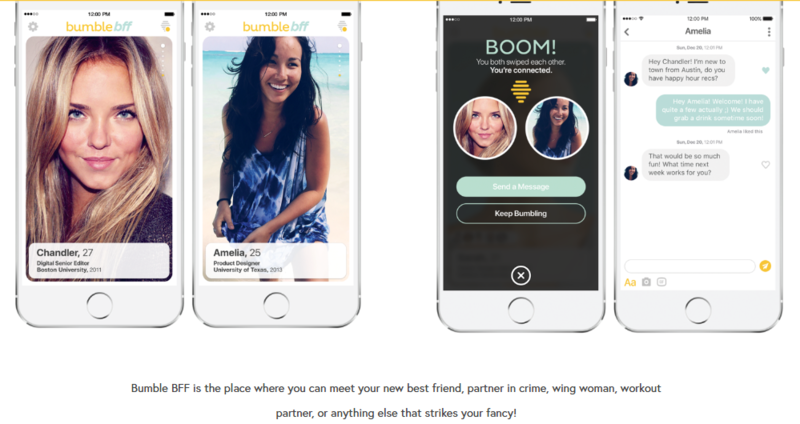 This application works like Tinder but the innovative feature of this application is women have to message first so that they will prevent themselves from bombed with offensive messages from lads. 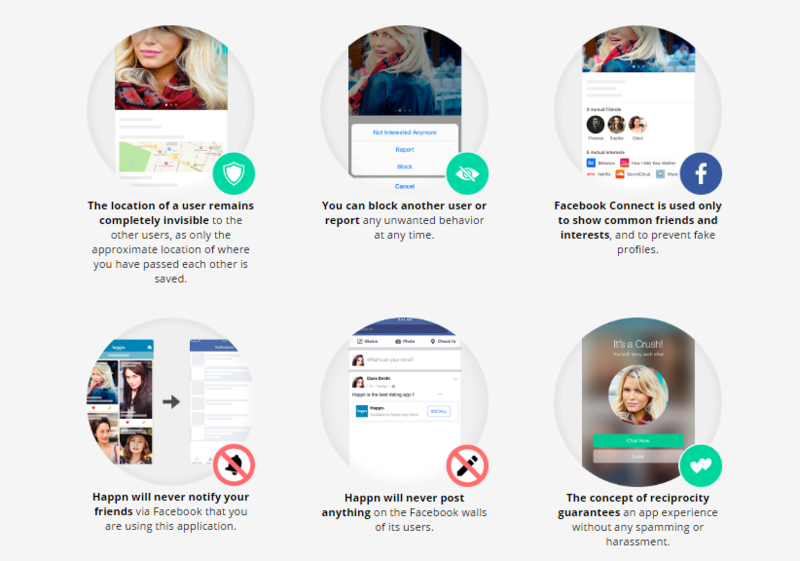 This application is developed by one of the developers of Tinder dating app. Developers always describe this application as the Feminist Dating App. And if the person doesn’t respond for 24 hours the connection will be disconnected for forever. This application is available on Google Play Store as well a the app store. If you by mistake swipe left the person you like they had also a feature that you can undo your move by shaking your smartphone. It has some bugs and issues which creates problem while using it. This application helps you to find your date by asking you a bunch of questions by which you can find your love with similar interests. This makes this application different from the others because it is the foremost thing that we need while searching for a partner. It also had swipe gestures like we saw on Tinder. You can access more features by paying for its subscription package. It has 4.1 ratings on Google Play Store with 40,000,000 downloads. In this app, you can find the people who you want to be your date. Filtering feature is available on the Clover dating application so that you can add filters and search so many peoples. This application also offers you to join mixers, set updates, finding events and much more. It has 4 rating out of 5 on the Google Play Store. You can view full-screen images of the people and organize your prospects as this app used by many like straight, bi-sexual, lesbian or even gays. These are the top most popular dating apps available on the Internet but there are also many others available other than these like Coffee Meets Bagel, Tinder, Grindr, Match.com, Tangle (Android, iOS). We did not choose Tinder in this list because it has many bad reviews. Previous articleHow to access dark web and deep web anonymously?